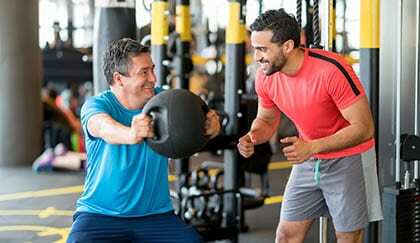 A personal trainer works with you one-on-one to ensure you reach your fitness goals. Personal training ensures that you spend your time at our Corpus Christi gym wisely, only doing exercises and routines that benefit you. By working with our trainers, you gain valuable workout habits that target proper weight loss and help build lean muscle. You’ll also work through those plateaus and decrease your chance of injury. Our personal trainers will give you healthy workout habits for life!